I'm considering a short shift kit for my 2000s. Any recommendations, pro, or con? I upgraded my original to a B&M short shifter. Absolutely love it compared to the stock vague shifter. However for the price I don't believe you can do better than Ben's or Particlewave's kit. In fact if mine was showing any signs of wear I would buy one! It's one of the best all round upgrades you can make. Track or street use. Short shifter con: you will need to apply a higher amount of force with your hand to the knob to get it to shift. There are many variants of short shifter, FYI, some of which are factory and some of which are aftermarket, and a range of throw reductions are offered. The throw reduction front-back can be different than the throw reduction side-to-side. One inescapable fact of physics of the levers involved is that the more the throw is reduced by changing the basic lever geometry, the more the force will be required to accomplish the shift. It's simple physics! If a little bit of good, more is not necessarily better. It's also subjective. Something more important than reducing the throws, in my opinion, is to reduce friction and slop in the system. This is about more than just the shift console - cables running underneath the car, the various linkages and bellcrank mechanisms (both below the shift lever and back at the transmission), and even internal condition of the transmission's shift forks, springs, bearings, and fluid, can all factor into the shifter's performance. Hope this helps give you some food for thought. Cheers! Last edited by jakeru; 08-24-2017 at 05:42 PM. I have one of Ben's, love it! Before that I had a 9x7 shifter, 15% shorter than stock, loved it too. Didn't really like the original shifter but didn't hate it. Thanks for the input, very helpful as usual. IMHO this is a total no-brainer. The original shifter was like rowing a boat. I put in the 9x7 short shifter and have never looked back. The shift effort was up but it took little time to get used to it and I could never imaging going back. 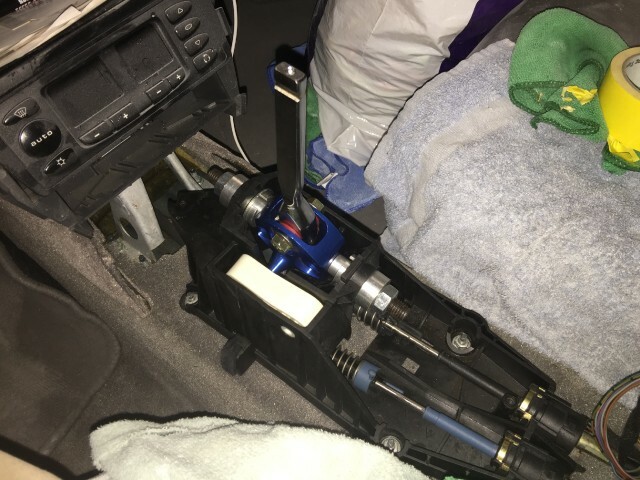 I just installed a $50 eBay short shift this weekend. Love it to bits. The extra effort required to shift IMHO is not an issue. It helps me shift more positively and now at last I can shift quickly. The heavier feel matches the relatively heavy clutch and steering and therefore feels right in the car. In retrospect, the stock one didn't gel with the rest of the car. I have Ben's shifter and I'm still not happy with the shifting of my car. I don't think it's really the problem with the shifter but I think I have rather a problem with the cables, which are quite stiff. I need 2 hands to put it into reverse! (At least it won't be put into reverse unintentially!) I'm going to try some other guys shifters next week at the track to compare. 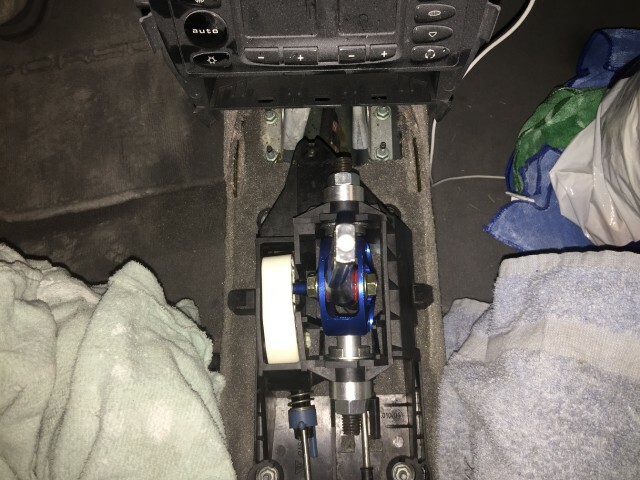 Take off the boot and look under there while shifting into reverse and check to see if the ball end of the fore/aft cable is hitting the right side of the console. My original shifter ends were misaligned and was doing that and it was very hard to get into reverse. Yes, misadjusted cables can cause hard shifting! Look at your cables end at the transmission too. I just installed a short shifter that I got from Particleweave, and I'm not yet used to it. The throws are REALLY short, and it will just take a bit of adjustment before it (hopefully) feels normal. I haven't missed any shifts, but I rarely rush them anyway. The shift action does have a nice heft to it, and the mechanical feel is also pretty nice. Hopefully I'll be attending a track day this Wednesday, so it'll be interesting to see how that goes. I have one from Ben and love it. It totally transforms the driving experience. I installed mine while it was down for three months so I didn't have such a jarring difference from before and after to get used to. NewArt, make sure it's not rubbing against the carpet below it. I put washers under the shifter assembly to raise it off the carpet. Simple... Get it. It's what should have been on the car in the first place. Is there a guide for adjusting these, or is it pretty straight forward? I think mine is in need - damn near throwing my shoulder out on 5-6. After 1-yr ownership, yet to convince me that I need a short shifter. Came from 914 with a vague shifter, so the original feels super tight and precise in comparison! Throw can be a bit shorter but load feels just right as is. Coming from a 914, anything might feel ok! My first test drive in a Boxster was a really nice, low mile '99 back in 2004. My previous cars had been a Miata, a '99 Z3. I loved the Boxster except the shifting felt so sloppy and vague I thought that there was something wrong. It stuck with me and I later found, through reading and driving other Boxsters, that my experience was the norm. When I finally bought my car in 2008, I enjoyed everything about the car and got use to the shifter. A few years ago, my boys bought me a short shifter for Christmas . After install, I was amazed at the difference and how much 'newer' my car felt. I put a Numeric Shift Console and Numeric Cables. Very costly but a dramatic difference in shift throws and the feel.